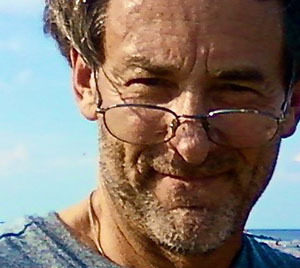 Craig Kellem is a Hollywood Script Consultant and a member of the Writers Guild of America. He is an industry professional who has served as a development executive at both Universal and 20th Century Fox. Click HERE for full bio. I will read your script and use my vast experience to provide you with the notes and analysis you will need to get your screenplay ready for submission. I actively consult with Hollywood professionals on material. I receive screenplays (lots of spec ones), TV pilots and episodes, treatments, and plays from all over the world. Some of the material comes via my ongoing association with a Hollywood talent/literary agency. Besides the “macro” issues, I also provide careful “page notes,” which address the details and nuances. I cover everything, the works! And I make specific suggestions on how to fix and improve things. I consult on lots of pro scripts. The projects that make it have a common denominator—the scripts are tight, they make sense, you get it! When the reader starts saying to himself/herself, “I don’t understand this,” or “where did that come from?”—guess who gets the blame? You’d be surprised how many scripts are tossed aside because of unnecessary oversights and errors. My services include exhaustive and copious notes given in an unhurried phone consultation for the big/macro issues. For the smaller page/micro notes, your script will be returned to you with clear, written notations in the margins (which include references to the bigger issues as well). I’ll also include a separate summary of those big “headline” macro notes. Some writers are shy about talking on the phone, and prefer to receive ALL notes in writing. Although a personal interaction is almost always a superior method, if you desire notes in writing instead of the phone conference, that’s fine—I can put them all on the script (along with a summary) and return it to you. After a conference, you’re always welcome to call with follow-up questions at no charge (call fast while my memory’s good and fertile). If you want me to read and analyze your revision, I am happy to provide this service (if you send it to me within a reasonable period after the initial notes). Note the pricing for this service below. As corny as it may sound, I love working with writers and feel a deep responsibility towards those who find the courage to transpose their burning ideas into something “alive” and tangible. I make a joyful living carefully examining your precious work and doling out expert, much-needed feedback. The vast majority of my clients are really happy with my work—they almost always send me their revisions and subsequent scripts! Most writers with a new project are pumped. They’re convinced that their script is ready to be grabbed up. It rarely is—they often need CRITICAL work. It’s hard for many writers to see this for themselves. Honest, professional feedback without risk is usually a very wise move. Mail or email me your script. If emailing, please send in PDF or Final Draft, if possible. Regarding your signed release, please mail, email, or fax it to me (click HERE for the release, or call and we’ll email it to you). If you choose to fax, please note that it is daytime only: (215) 665-1907. Mail a check payable to Hollywoodscript.com LLC (or pay via PayPal – see button below). We can set up a time (in advance) for our telephone conference, or just mail/email me the script and I’ll contact you with a proposed date. By the time I receive the script, the wait is usually less than two weeks or so. If you contact me before you send the script (or even while you’re finishing it) and set up an appointment in advance, the wait can even be shorter. At the agreed upon time, please call me at (215) 563-5373 or (215) 665-1907, or call via Skype (Skype Name: craig.kellem). PAYMENT BY CREDIT CARD: please click the PayPal button below, but be sure to add $6 ($8 outside U.S.) PER SCRIPT, as they charge for this service. Thus a typical script would cost a total of $262.70 ($250 consultation + $6.70 postage to mail marked up script + $6.00 PayPal fee). If you prefer your marked-up script be sent back to you electronically instead of by mail, I can scan it at the local FedEx store and email it to you. Please know that they charge around $0.50/page, depending upon length of script. PAYMENT VIA WESTERN UNION is another method of payment we accept, if you so choose.